Get Green Grass & Lively Mulch This Spring! It’s spring, and while baby daffodils are poking through the thawing ground, and leaves are beginning to bud, the grass and mulch are looking a little drab. This is the time of year where color starts to appear everywhere…what about our landscaping??? It’s so expensive to maintain fresh mulch…or is it? Did you know that you can color your grass and mulch??? 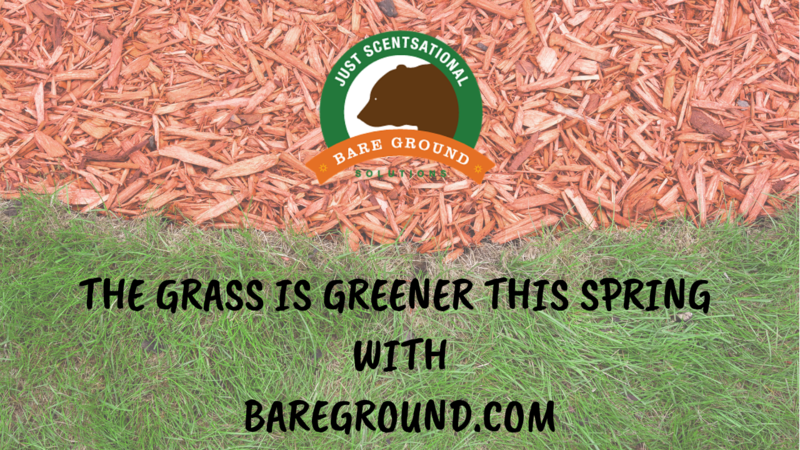 Mulch and Grass colorant by Just Scentsational by Bare Ground is a super concentrated, environmentally friendly, fast drying colorant that can be applied to faded mulch and dried out grass to return its vibrant color! Mulch is a staple in most landscapes, and its beauty and freshness comes at a cost. Available in red, black, and brown colors, the colorant can help reduce yearly landscaping costs by refreshing the appearance of any type of mulch and pine straw. Just spray directly on site and enjoy the look of fresh mulch – without the smell or work of spreading it right off the truck! This water based, durable, safe and easy to use turf dye will turn your dormant grass back to a lush green color immediately! No more waiting for June! Used often on golf courses and other athletic fields, the grass colorant is perfect for helping trouble spots on your lawn fit in while you add seed and strengthen the area. The colorant will not flake, but rather come off as grass becomes healthy, grows, and is mowed normally. Both colorants are the perfect speedy solution to sprucing up your property for special events, or just to enhance your already beautiful landscaping! Do you have a hard time getting things to grow? Are you like our friend here, who just can’t seem to succeed growing fruits, vegetables, and the like? Fear not…there’s hope, even for Maura. If you’re worried about chemicals in your soil, and therefore your food, you should watch. If you can’t figure out which fertilizer in the store is the “right” one to get, you should watch. If you just can’t seem to get anything to grow to save your life, you should definitely watch! Who knew there was so much to learn about fertilizer, including the fact that it can be made from fish? Yes, FISH! The Native Americans actually used fish, the whole fish, when growing food because of the impact the nutrients had on the soil. Today, our Trident’s Pride line of fish fertilizer is made from sustainable, locally grown, clean and consumable rainbow trout that is ground up to naturally break down into amino acids. These aminos acids are what help plants absorb and retain nutrients more efficiently, and also increase the amount of other vitamins and minerals beneficial to growth. If you’re like us, you try to steer away from using chemicals in your daily life whenever possible. Especially when it comes to the food you’re going to eventually eat! Using chemicals in our fertilizers has numerous side effects and unintended consequences, including hardened soil, decreased soil fertility, and soil, air, and water pollution to name a few. And who really wants to ingest extra chemicals??? You’ve decided that fish fertilizer is the way to go, and you’re now standing in the fertilizer aisle, totally confused by all the letters and numbers in front of you. I mean, you really just want to grow something. How hard can it be? This NPK you are seeing is actually a really helpful ratio. This represents the micro-nutrients Nitrogen, Phosphorus, and Potassium used by plants. Basically, the higher the number, the higher the concentration. This number will help you determine how much you need to use based on the amount of soil, and the kind of plant you’re growing. Nitrogen helps the growth of leaves, Phosphorus helps root growth and flower and fruit development, and Potassium helps the plant’s overall function. All pretty important for success! Great! So, how do I use it? Fish fertilizer can be used in liquid or granular form – depending on what you need! It’s easy, and most importantly, it doesn’t make your veggies taste like fish! 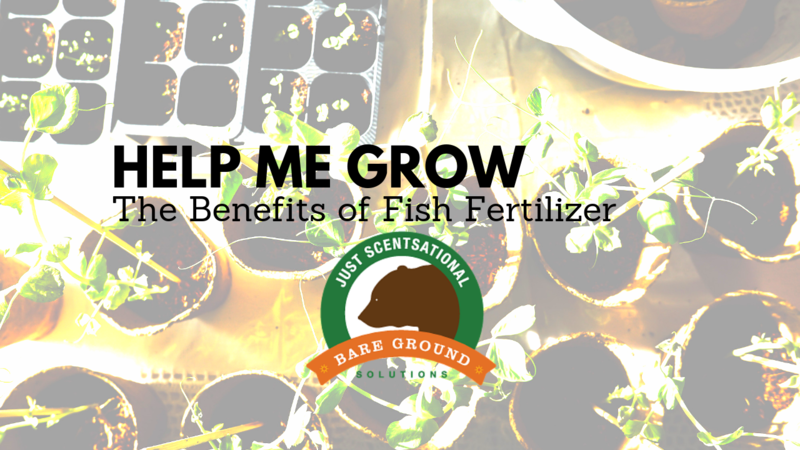 Still have questions about fish fertilizer? Let us know in the comments! Garlic is a welcome smell in many kitchens. A little olive oil, a little garlic…dinner is on its way! But… Did you know that garlic is also a very powerful (and natural) insect and garden pest repellent? This delightful little bulb contains an amino acid that, when broken down by crushing, chopping, or blending, changes to allicin. This substance is the goodness you smell when you’re cooking, and it does more than just make our mouths water. Allicin is absorbed by plants, causing a natural reaction – repelling mosquitoes and other garden insects like ticks, fleas, white flies, aphids, ants, etc., and animal pests like rabbits, deer, and field mice. The good thing about plants, however, is that while garlic’s repellent qualities last for a few weeks, their new-found garlic breath is no longer recognizable to humans within a few minutes of application! In other words, while the insects and pests that would like to feast on your plants will taste it for weeks and stay away, it will be unrecognizable to humans in their garden vegetables. Garlic is an all natural repellent, and is gentle enough to use on even the most sensitive trees, and shrubs, and garden plants to keep your gardens and your lawns mosquito free. And who doesn’t love safe, all natural outdoor remedies that keep our properties beautiful year round?!? Excited about spring, but dreading the pests that come along with the new season? Learn more about natural solutions from Just Scentsational by Bare Ground that will help make the outdoors this spring and summer more Bareable!